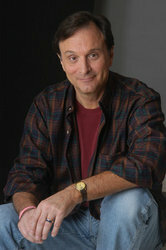 -Dan Gilvezan who played Bumblebee in Transformers Generation 1, Slipstream on G.I. Joe, and Spider-Man/Peter Parker on Spider-Man and his Amazing Friends. He will be taking part in a Q&A panel and signing autographs. -Derrick J Wyatt, the Art Director and Lead Character Designer for such TV shows as Teen Titans, Legion of Super Heroes, Transformers Animated and Ben 10: Alien Force will be taking part in a Q&A panel and signing autographs. -Comic Book Artist Alex Milne will be setup in the dealer room signing comic books, as well as doing sketches and offering prints. -Matt Moylan, the creator of Lil Formers and former Post Production Manager for Dreamwave Productions. -The 501st Canadian Garrison will be in full Star Wars costume for photo ops. 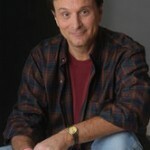 Dan Gilvezan who provided the voice of Slipstream on G.I. Joe, as well as Bumblebee on Transformers Generation 1 and Spider-Man on Spider-Man and his Amazing Friends will be at the show. I'm listing stuff today to try and make it happen. I really want to go! How cool would it be to hear his voice in the next Spider-man game? Wow, I expected fun and good times, and TFCon did not dissapoint. I had an amazing time there, a relaxed atmosphere, great dealer room, and friendly, kind, and dedicated staff. I can honestly say I would prefer TFCon over other shows, I never expected to get that kind of an experiance. It was great for everyone, for lack of a better description, it was "laid back" as opposed to other over produced shows that just want your money. The exclusive was phenomenal, but honestly, that is not the deciding factor for me. The interaction and hanging out and meeting some great new friends, as well as putting faces to people I know on the boards. I'm going next year, you can count on it. Thanks to all involved in making this happen!